I read an interesting article on Bankrate.com this morning that had some fascinating, albeit not unexpected, credit card usage data. Essentially, our credit card usage as a country clearly delineates the major consumer holidays and events, including the strong uptick in November and December for Christmas and the second largest usage growth around back-to-school time. The line graph on the Bankrate.com page shows monthly spending increases and decreases on credit cards based on 10-year averages. It looks like a pretty linear progression, from low spending in January on the left to high spending in December on the right. This gives the impression that our spending goes up every month and even year after year. 0% growth is the 2nd line from center. Months that are at this 0% line mean that we’re not increasing or decreasing our credit card usage (not that we’re not using credit cards, just not changing our usage). 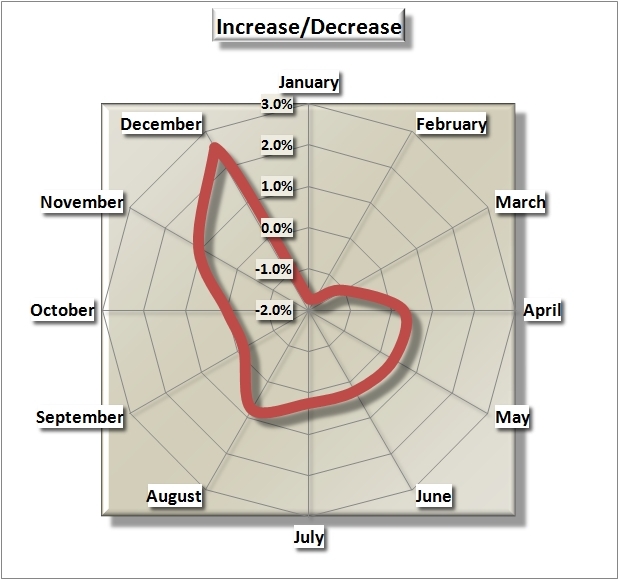 Notice, however, the major decline from December (+2.56% growth) to January (-1.72%) on average each year. It’s as if we collective say, come the first of the year, “Oh, I’m stuffed and can’t take another bite!” We gorge ourselves on credit during the holidays and need a collective credit nap for a few months. It is indeed the time when many realize they need to get a handle on things and therefore turn to services such as credit counseling and debt consolidation for help. I know it’s obvious, but obviously, we’re still collectively falling victim to seasonal consumer pressures to spend more than we have available to us. Every year you can count on an article emerging just before the holidays about how much debt we will carry into the next year because of excessive spending. Here’s a radical idea: how about using the early months of the year (as well as September and October), when there are fewer consumer spending pressures, to sock away some savings so that we don’t have to put back-to-school and holiday spending on credit? It’s a beautiful dream, but I know those who are doing just that sleep better at night all year round. If you want to give it a try, first consider how much you typically spend during the holidays. Then divide that by the number of months you have until that time. Finally, take the yielded amount and set that (or as close to it as you can get) aside in a separate savings account. When the holidays arrive you can spend with far less stress. Do You Have Questions About Reducing Your Credit Card Usage? If you need more information on learning to rely less on credit cards or have any other questions about improving your personal finances, please feel free to comment below and we’ll answer as right away!